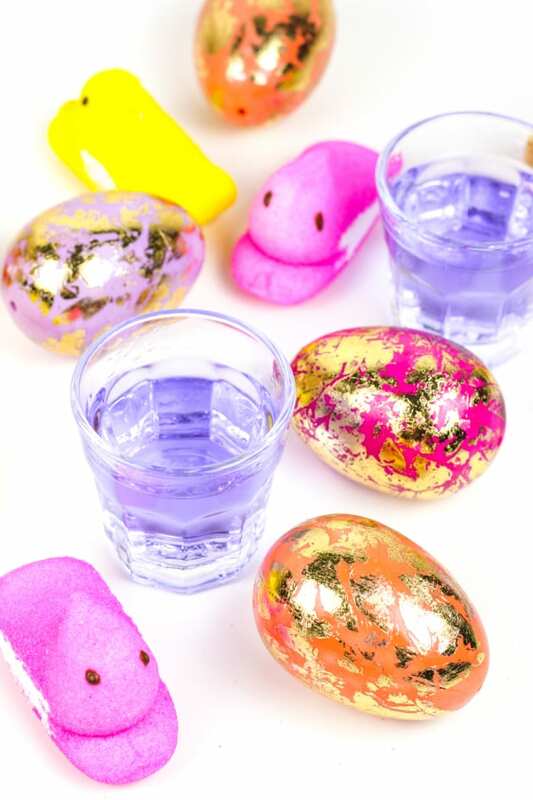 With Easter right around the corner, Peeps Vodka is the pastel, candy-colored liqueur you’ve been looking for. Hunt no longer for a colorful, cocktail ingredient that’s as fun to make as it is to mix with! Pastel colors always make me think of Easter. 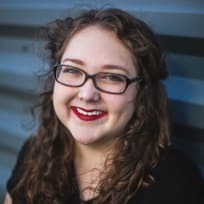 It’s the graphic designer in me, I’m sure, because I associate colors with all times of the year, and different periods of my life. You know, in the same way that people remember a certain song from high school? But for me it’s colors. There’s navy blue, which always reminds me of school uniforms. Kelly green, for summers in the backyard. Wolfpack Red, for college. Winter is always a pale blue-gray — almost white, like an overcast day. 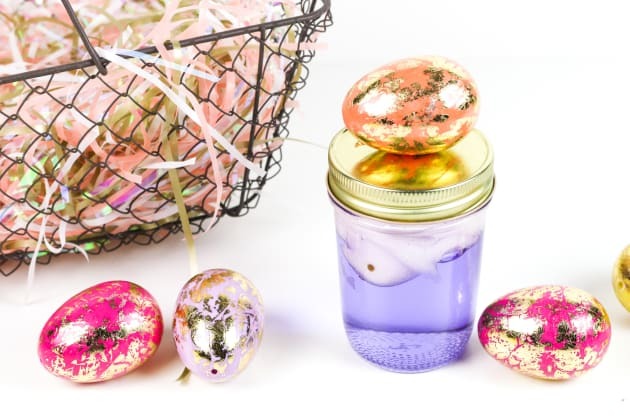 Memories of Easter as a kid drum up the boldest of pastels, starting with egg dyes. 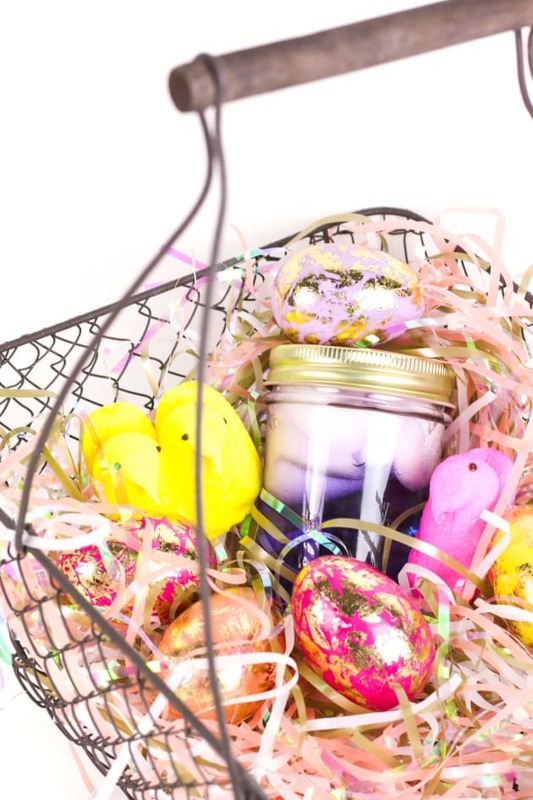 My mint green basket waited for me on the table on Sunday morning, filled to the brim with lavender plastic stuffing underneath an array of shiny plastic eggs, chocolate bunnies and bright yellow marshmallow Peeps. Oh, the Peeps. They were never my favorite candy in the Easter basket, but they sure are a staple of this season. These days, I’m all for the pastel cocktails along with Easter morning brunch, like this Raspberry Mint Kir Royale. 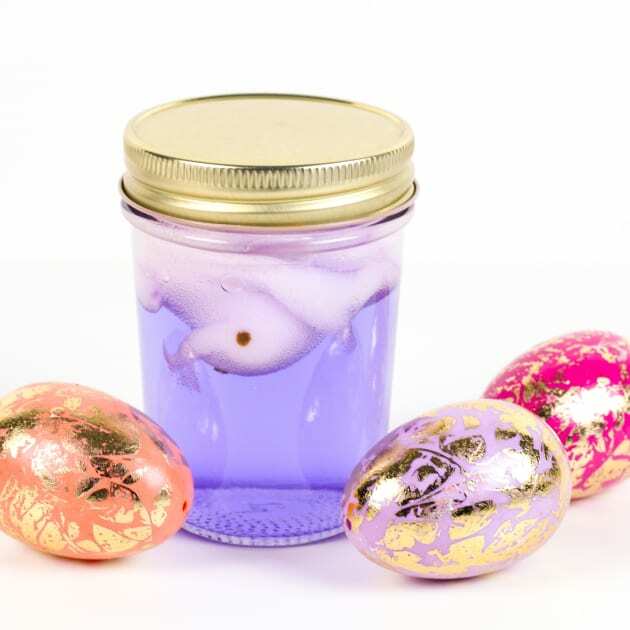 This year I decided to try making Peeps vodka, since the Marshmallow Vodka I made last month was such a success. It’s so very easy to make. 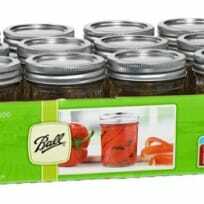 Stick some Peeps marshmallows into a mason jar, top with vodka and let sit for a while. Then voila! Peeps vodka is yours to mix right into your cocktails. 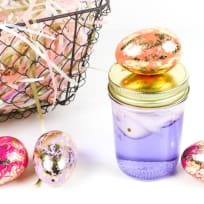 Like a reverse egg dye, the marshmallow Peeps release their color into the vodka, leaving you with a pastel spirit that will make drink mixing so much more fun! I mean, isn’t that lilac color so gorgeous?! 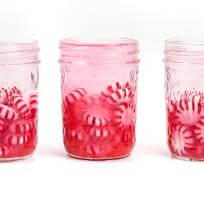 It’s not unlike the hot pink color you get when you make Peppermint Vodka or the safety orange of Candy Corn Vodka — only not as bright! 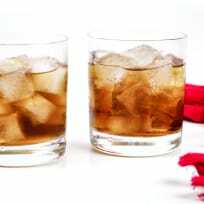 What are some marshmallow vodka cocktails you can make? 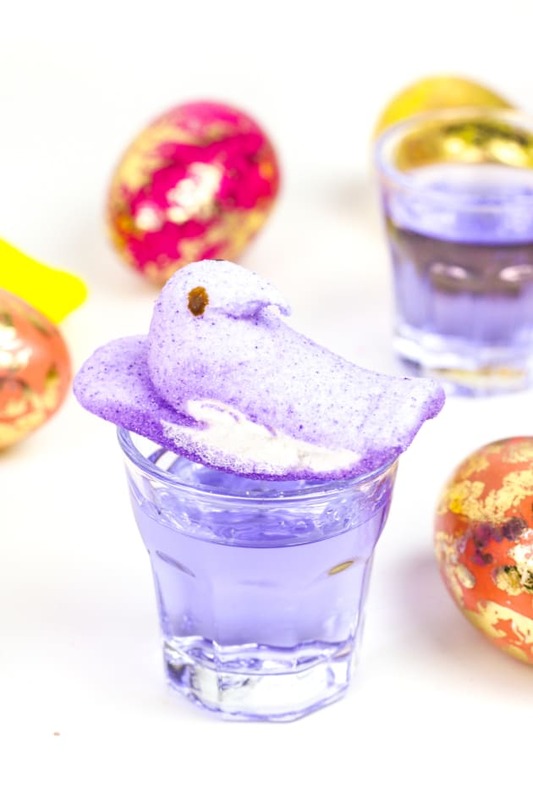 You can use Peeps vodka in just about any vodka cocktail to which you’d like to add a marshmallow twist. I recommend this Boozy Cadbury Creme Egg Milkshake, because holy cow. What color Peeps should you use for Peeps vodka? You can use any color or shape Peeps — that doesn’t matter! The color of the marshmallows will dye the vodka the same color. If you mix colors, you could have some fun results! Let me know if you try it! What flavor Peeps should you use for Peeps vodka? They do make some flavored Peeps, like Cotton Candy and Sour Watermelon. 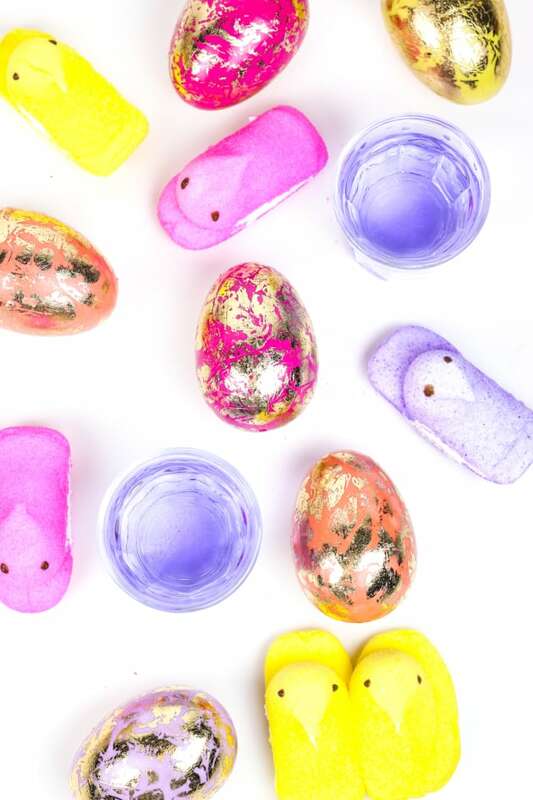 I haven’t tried making Peeps Vodka with flavored Peeps, but I think it would absolutely work. 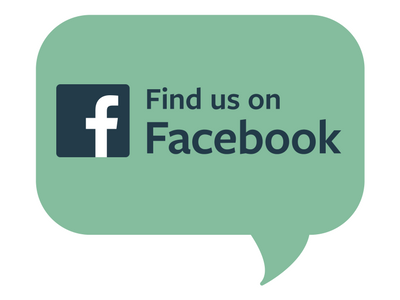 If you dare to try it, leave a comment and let me know how it goes! 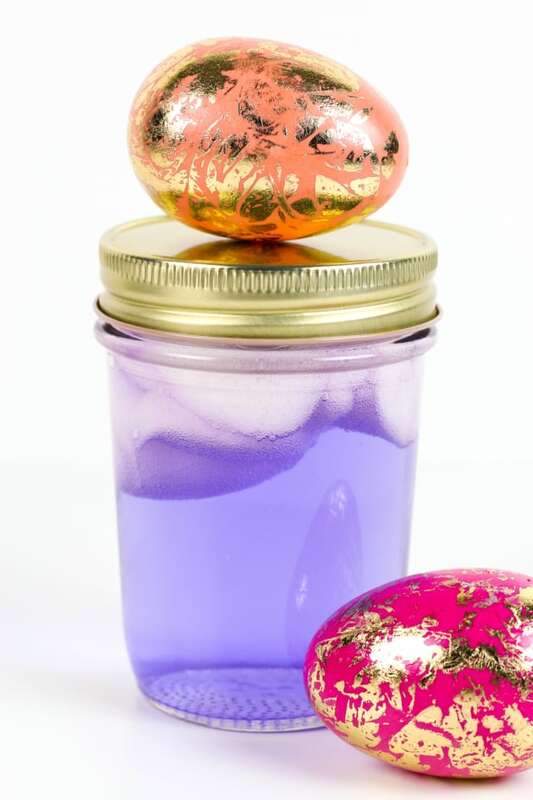 Fill a mason jar halfway with Peeps, around 1/3 cup. Top with vodka. Cover with lid and let sit for 24 hours. If small bits of marshmallow remain, strain the vodka into a bowl to separate them. Then decant the vodka back into the jar. Cover and store. 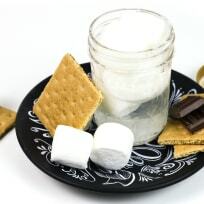 A smaller size works best to help dissolve the marshmallows faster. Use kitchen scissors or a knife to cut them into smaller sizes, if desired.